Excellent Carpet Cleaning has more than a decade of experience with move out cleaning. We have checked and worked with numerous estate agencies and property owners to generate a complete end of tenancy cleaning register with all the possible cleaning jobs which need to be completed before the bond is given back. Our cleaners are skilled to stick to all safety and excellent procedures, finish all cleaning tasks on the checklist and use only the modern cleaning machines, tools and secure cleaning alternatives for the move in and out cleaning service. We offer tenancy cleaning to private and business clients in the complete Hornsey Vale N8. The clients are: renters, landlords, companies, people who are buying or selling a property among others. Our services are fully covered by insurance, and the insurance coverage is included in the price. To book us for carrying out the cleaning when relocating, you should first of all make certain that your items will be moved out before you start. If you have problems with the moving out procedure, our company also provides expert packing and man and van services to support you move. The well-equipped and ready cleaning team will arrive to your house and will utilize all resources and solutions required to meticulously clean the entire property in compliance to the specific tenancy cleaning register. This unique service is simply not restricted in time frame, so the cleaners will maintain cleaning until every single job is inspected. The cleaning includes top to bottom cleaning of all areas, stairs, hallways, your kitchen and the bathroom. It can contain exterior cleaning too. 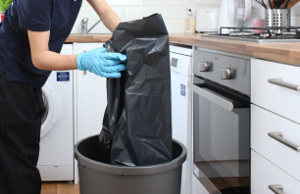 Bear in mind to reserve our tenancy cleaning service any time you are moving out - we will guarantee that your landlord will be pleased with the outcomes! Reserving our tenancy cleaning service will only take a couple of mins. Either call 020 3404 0500 or send us an online order right here. Our customer care operators are there to suit your needs day to day, so you will be getting created affirmation quickly. Its not necessary to make an advance transaction for reservation, and we will not ask you to pay any hidden charges once we are finished with the cleaning. The charges are fixed and clear. You can get a large discounted price from the costs of our services, by reservation Two or much more of them at the same time. Also, if you book our service early on in time, if you are a normal client or a owner or property agency, we will offer you our special preferential rates for each of our services. Do not hesitate to reserve our high quality guaranteed, professional tenancy cleaning service now!